>> How early can a child begin learning Christian missions concepts? The preschool years. From babies to kindergartners, Mission Friends provides the building blocks of faith and a basic awareness of God's love for all people. For Mission Friends leaders, you'll find resources designed to help you engage preschoolers of all ages in hands-on missions discipleship activities. In each issue of Mission Friends Leader, you'll find session plans and weekly activities in interest areas such as music, art, blocks, nature, homeliving, and more. Creative activities and mission stories are included to help establish missions awareness and involvement for preschoolers, from birth through kindergarten. Missions education comes home! Through songs, games, activities, and a note to parents, Mission Friends at Home delivers continued learning from Missions Friends sessions. One subscription provides take-home leaflets for ten preschoolers and their parents each month. For Babies, Ones, and Twos is a reproducible on the back inside cover. 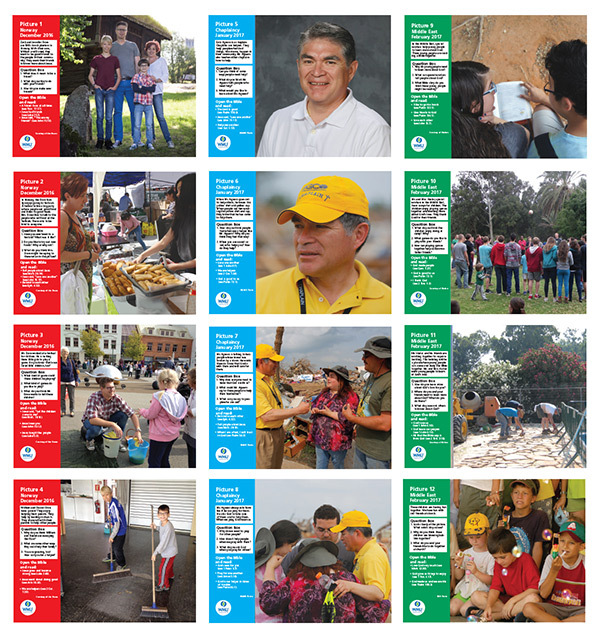 The Mission Friends Resource Kit and Pictures combines the Mission Friends Leader Kit and the Mission Friends Leader Picture Set into one convenient package—at a reduced price. Energize your Mission Friends classroom! 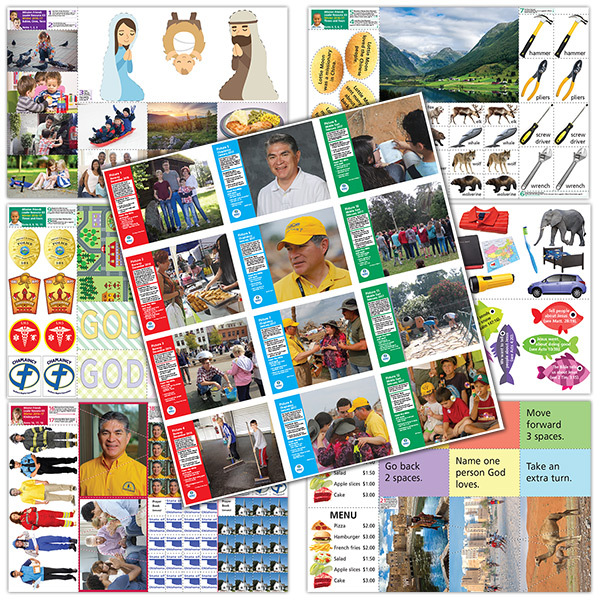 Inside each issue, you’ll find games, songs, posters, patterns, teaching pictures, and more to enhance the learning activities found in Mission Friends Leader. Large, vibrant photos from missionaries and missions fields around the world make this quarterly package a must-have visual aid for Mission Friends Leader learning experiences. Each picture also has discussion questions and Bible thoughts for preschoolers. Energize your Mission Friends classroom with the beautiful full- color posters in this pack. The posters include a Mission Friends poster, a Mission Friends flyer for your church bulletin board, the Mission Friends song, pictures and Bible thoughts to go along with each Christian concept area, and an allergy alert chart that can be laminated for use throughout the year. The kit also contains reproducible postcards you can use as enlistment tools. The Preschool Resource Team shares a monthly devotional. For Missions Friends leaders and parents.